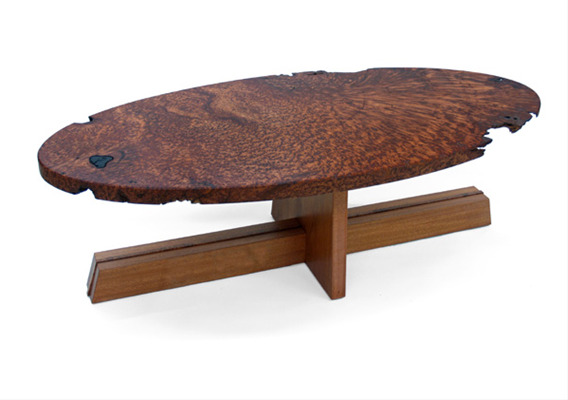 This is one of a series of redwood burl coffee tables that I made for three different clients in the 'George Nakashima' style. Basically you take a free form or cut slab of wood and sit it on top of a nicely proportioned simple base. Prices are dependent on the cost of the burls which are available in many species, shapes and sizes.